Round Top State Bank now has Mobile Banking for your smartphone and tablet! To access mobile banking you must first be signed up for Round Top State Bank Online Banking. To download the mobile banking app click on the appropriate link below. 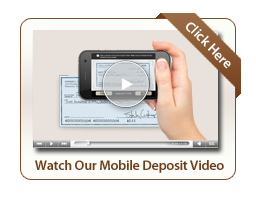 Deposit checks directly into your account using the camera on your smartphone or tablet. Watch the video below to learn how!